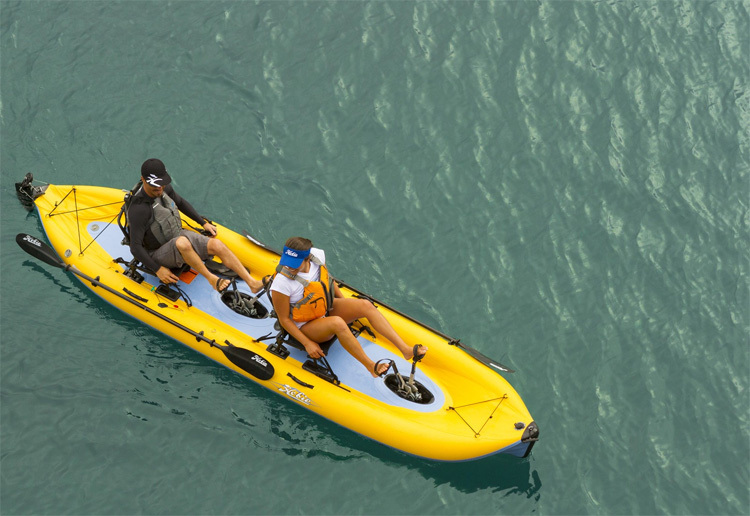 The Hobie i14T is the ultimate two-person, inflatable touring kayak. 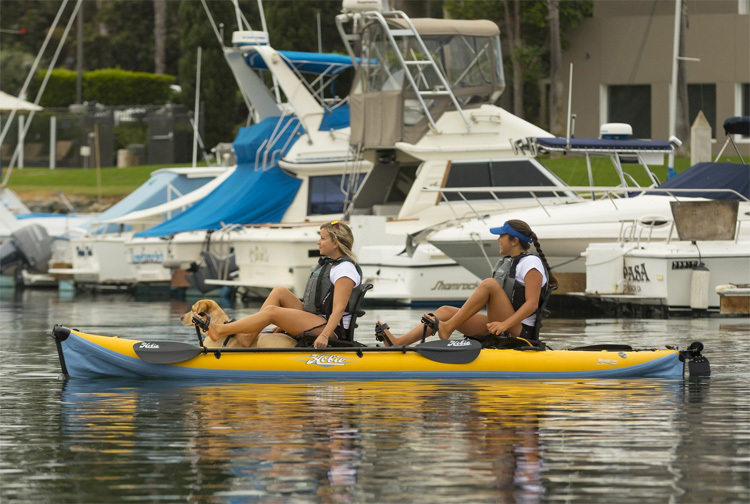 Two MirageDrives simplify locomotion, and an optional Sail kit enables you to enjoy everything from a sunrise paddle to an all-day, multi-sport adventure. The i14T’s wheeled storage bag and its pump make hauling, storing and inflating the boat a snap. 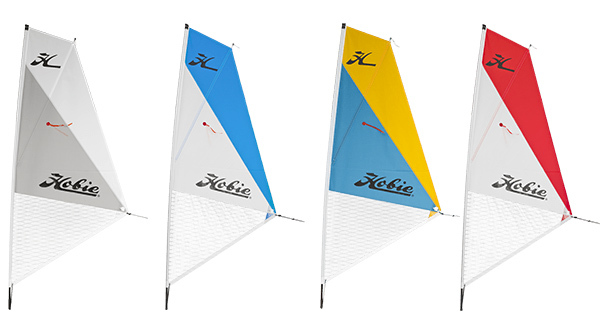 Width: 0.91 m \ 36"
Height: 0.53 m \ 21"
Bag Dimensions: 122x64x30cm \ 48"x25"x12"
Upgrade your Hobie and add some sail power with the Hobie Sail Kit – Compatible with all current Hobie Mirage Drive kayaks. 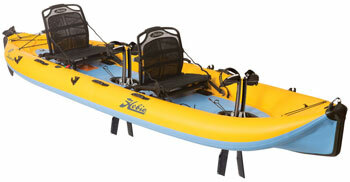 The sail enables you to maintain excellent speed with or without peddling while sailing. 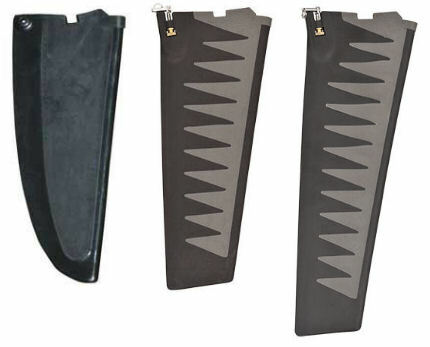 ST Turbo Fins users report as much as 10% increase in speed and more using ST TURBO Fins. But its not all about speed, you can get top end speed and a slower cadence for cruising (Less pedals per mile). All achieved with these larger and more efficient fin designs. We offer a delivery service for the Hobie Hobie i14t throughout the UK & Ireland to home and work addresses. 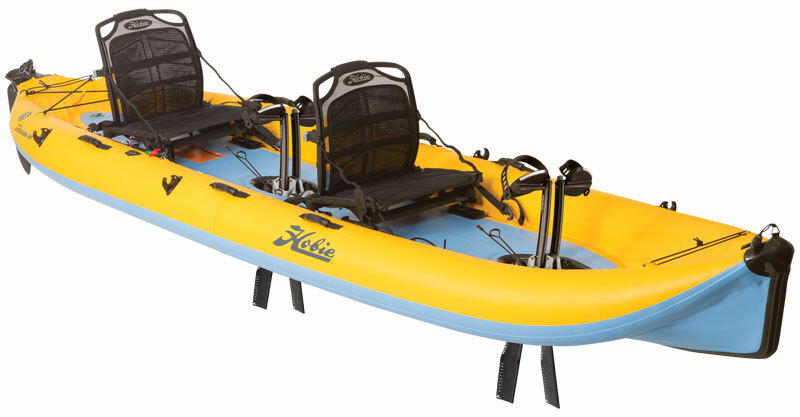 You can buy a Hobie Hobie i14t online from our website and pick it up from ourselves or from any branch within the Canoe Shops Group. There is no cost associated with instore collection*.